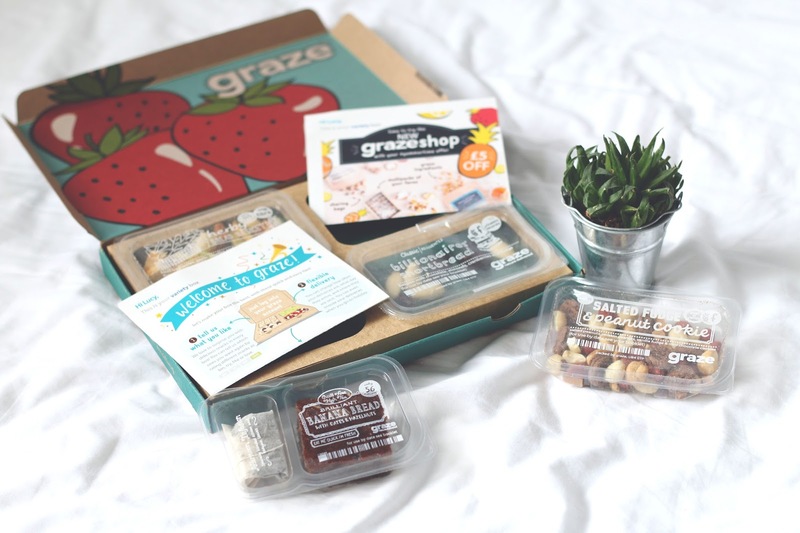 Just a pre warning – this is not sponsored what so ever, I just really wanted to share my love for Graze Boxes..
I’m pretty sure everybody and their dog has heard about Graze Boxes, you see promotions and ads for them pretty much everywhere these days. I received code for a free box in something I purchased and decided I was actually going to try one this time instead of throwing the flyer in the bin. So I went online, set up my account and off I went! Their site is so cool may I just say. Before you start choosing the products you might want in your box, it asks whether you have any dietary requirements, such as are you a vegetarian, do you have dairy etc. So I think thats super helpful. I personally didn’t tick any of those as I wasn’t really bothered by anything. So it gave me a list of all their products to choose from, and you go through them and mark them as you wish. If you put one down as ‘bin’ they will never send it too you. If you mark one down as ‘love’ then you’re more likely to get that particular snack. A great little system. They have a variety of sweet and savoury snacks to choose from and they really do cater to a wide audience. So I’ve had two boxes so far and I’ve really enjoyed both. I won’t go into detail about every snack, so I’ll tell you the favourites. In my first box I received an apple and cinnamon flapjack and that was 100% my favourite. I don’t think it was the healthiest flapjack in the world but it was honestly the best tasting flapjack to ever set foot in my mouth haha. In my second box I got some really lovely sweet treats, bar one savoury. I’ve only eaten one which was the billionaire shortbread snack which had mini fudge pieces, chocolate bits, almonds and cranberries – so yummy. 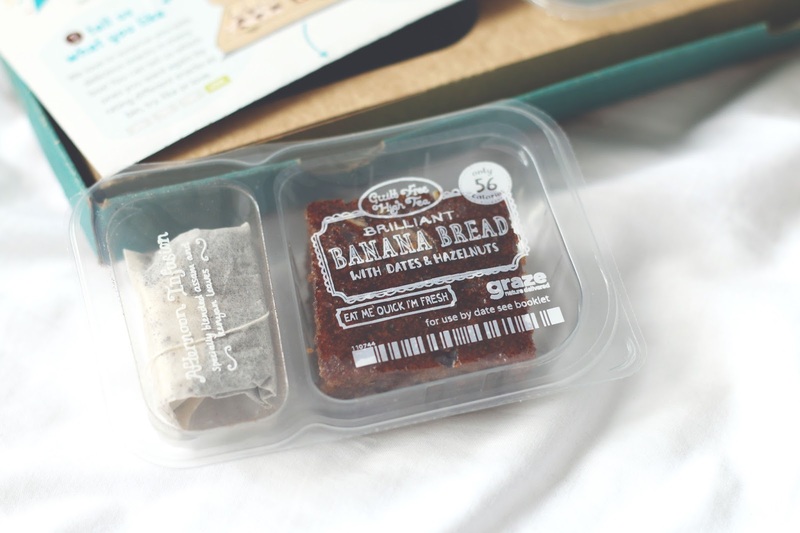 However I feel like my favourite may well be the banana bread, it even comes with a little tea bag how adorable is that?! Have you ever tried a Graze Box before?